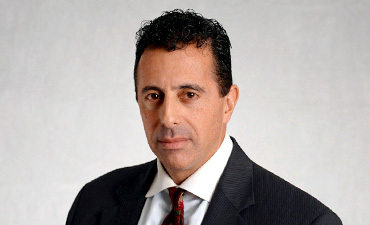 Chief Operating Officer and Executive Vice President Mark Mowad, who also serves on the company’s Board of Directors, has played a key role in transforming VOIP Networks from an on-premises provider of telecommunications systems to a leading player in Unified Communications (UC). With more than 15 years of telecommunications experience, he has been instrumental in driving innovation and rapid growth within the cloud telephony space. Mark launched VOIP Networks’ Voice Over IP and Data Networking division in 1999. He then transitioned the company from providing traditional digital phone systems (PBXs) to voice-over-IP solutions. Mark created VOIP Networks’ Cloud UC service in 2005, ultimately redesigning this service in 2011 to support hundreds of thousands of end points as a national service provider. A recognized industry leader, Mark sits on numerous technology councils for businesses. He also serves on Mitel’s dealer council as one of 13 U.S. experts who promote innovation and provide best practices for Mitel’s dealer channel. Mark holds a B.S. in Business from Rutgers University.